I was at the Chicago Blues Festival today. I specifically went because I saw that Lurrie Bell was performing. From 1980 to 1985 I ran a jazz club on the north side of Chicago, but on Sunday nights, the music was blues. The band was called The Sons of the Blues and it featured harmonica player Billy Branch and guitarist Lurrie Bell, son of the legendary blues harmonica player Carey Bell. Lurrie was a most amazing young blues guitarist and I thought for certain that he would be the next Buddy Guy. Most memorable about Lurrie was his performance of the WAR song Slippin into Darkness. It was the first time I heard Lurrie sing. The emotion he expressed in his voice is more than I can describe in words, he seemed to have such a deep understanding of the words and what they conveyed, the fear and the ease of slipping into darkness. Years after I had left that business, I wondered whatever happed to Lurrie. On a Sunday morning, reading a Chicago newspaper, I saw a very long article about Lurrie and his battle with mental illness. I thought about the possibility of producing a documentary about him. I researched and found that he was married to a woman named Susan, who had brought him back from the darkness and helped him regain his life. After speaking to Susan, who was very protective of Lurrie, she said that they had recently lost a child and she feared Lurrie might be too fragile to relive certain parts of his life. Susan Greenberg, Lurrie’s wife, died of cancer in 2007. Not only has he found a way to move on, but has enabled his music to lift his pain, and he has found peace, beauty and the strength to grow. 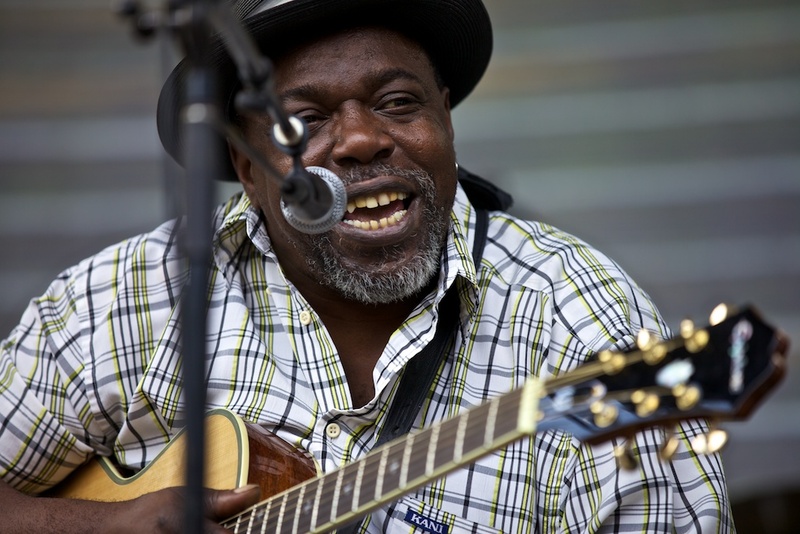 It’s been a long journey since the days of The Piano Man Club on north side Chicago, watching Lurrie on stage at the Chicago Blues Festival reminded me of my own travels through the years. We’re both gray, overweight, perhaps even wrought with sorrow but we have found a way to compartmentalize and find joy in producing our work. All of this made me curious about another musician I had not seen in many years, Jeanne Carroll, the First Lady of Chicago Blues. Armed with the Internet I found that Jeanne died of a heart attack in 2011 while performing in Brussels, but that’s a story for another day.